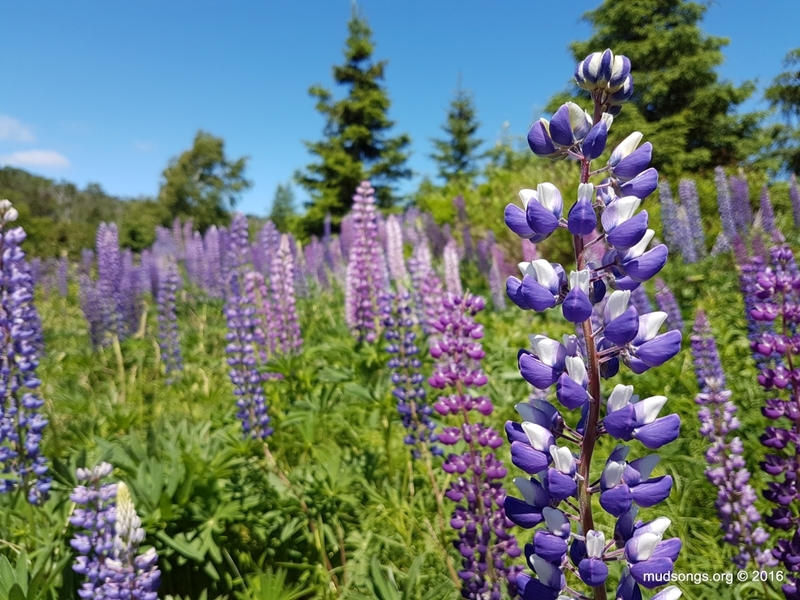 This entry was posted in Flowers, Lupins, Month of June, Year 2016 and tagged Newfoundland Honey Bee Forage. Bookmark the permalink. Wow! What a spectacular field of flowers! The lupins are everywhere. Even if the bees don’t do much with them, having them around is like walking through Van Gogh painting. I just added some information on lupins as a nectar source for honey bees. Apparently it makes good honey. 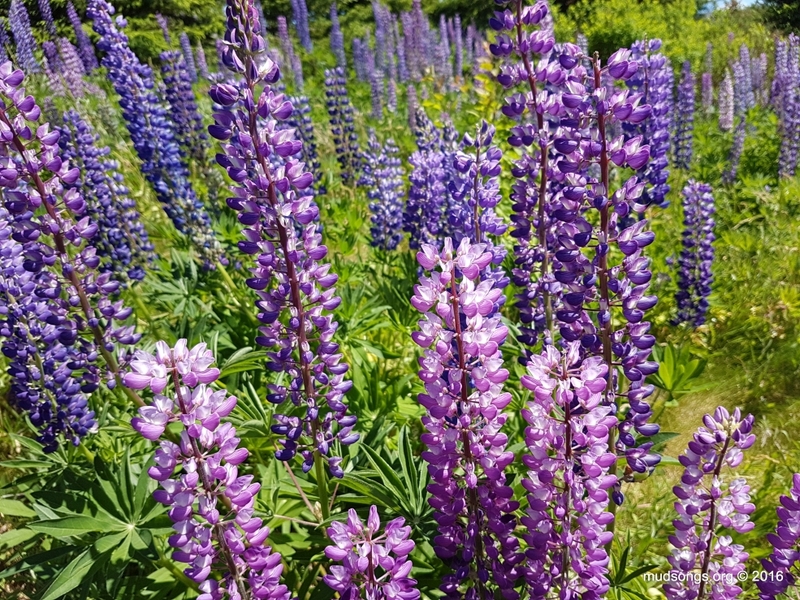 I would love to see photographic evidence of honey bees in lupins and red clover here in Newfoundland. We need photos of this for the NLBKA website, forage section. Here in Bonavista Bay, we have a lot of white clover, lupins, daises, purple vetch, buttercup, some red clover, etc. However, at the moment, I see the honey bees 100% in the white clover. I see bumble bees and other pollinator species in the lupins and red clover, but no honey bees. I hear that honey bees will only sip at the lupins if the bumble bees have chewed a hole through the petals so that their cousins can get their shorter tongues at the nectar. I’ve read that about the lupins, too, that the honey bees have better access once larger bees have opened the flowers. It’s easy to find online photos of honey bees on lupins (and where I live the lupins are in bloom everywhere), but I have yet to see a honey bee go anywhere near the lupins. I can’t find my source re. bumble bees chewing through lupin petals which then allow honey bees access to the nectar. Therefore, take that with a big grain of salt pending a credible reference. 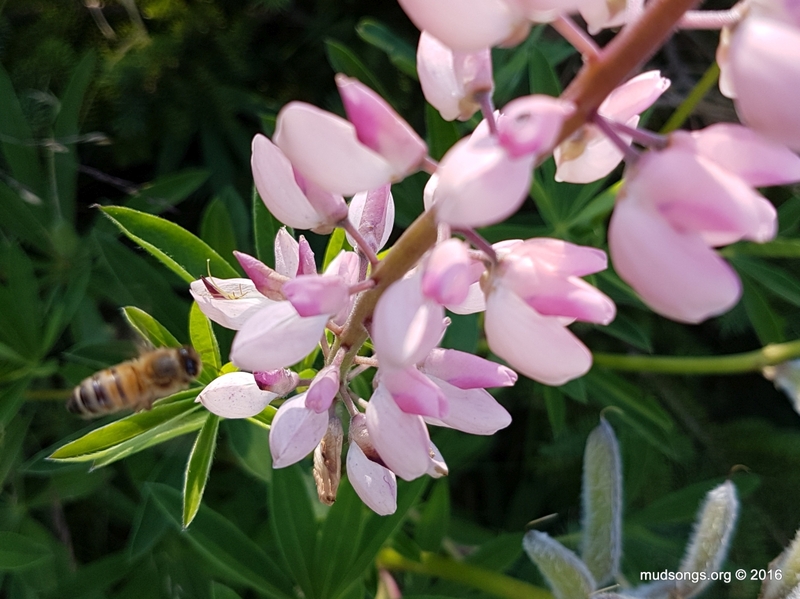 However, I just observed honey bees working lupin and will post photos of this on the Facebook NL beekeeping group shortly.